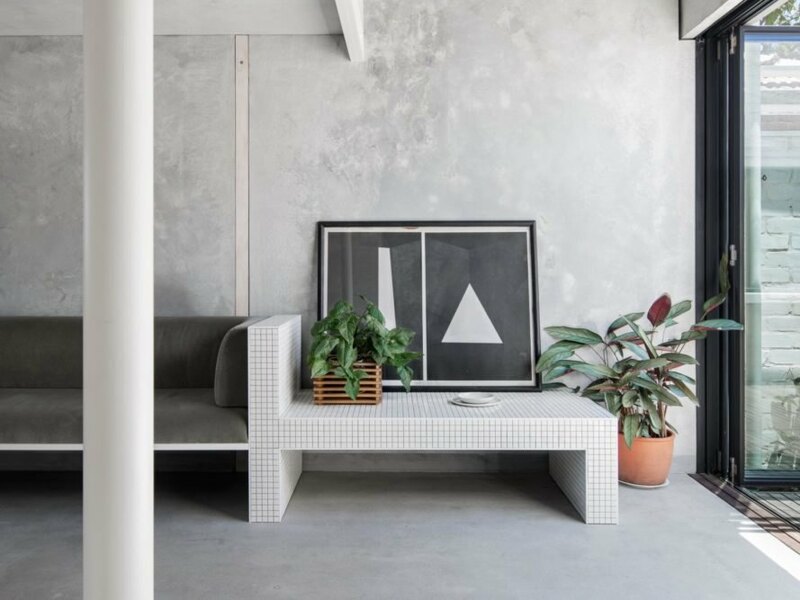 Perth-based firm Whispering Smith has unveiled a beautiful, concrete home that combines the best of brutalist architecture with sustainable materials. 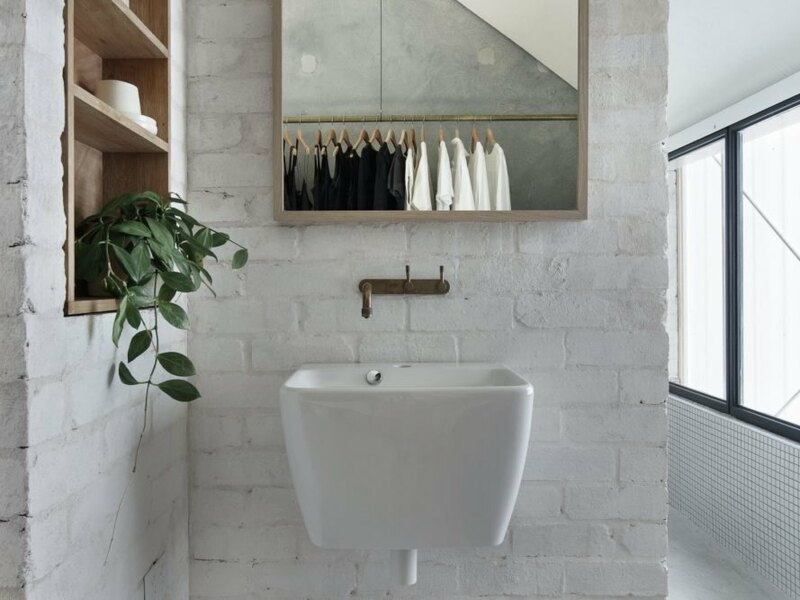 Built on a very compact infill lot outside of Perth, House A is an affordable and carbon-neutral home that was built with concrete, reclaimed brick, solar power and an underground water collection system. The 753-square-foot home was strategically designed to make the maximum use out of limited building space. 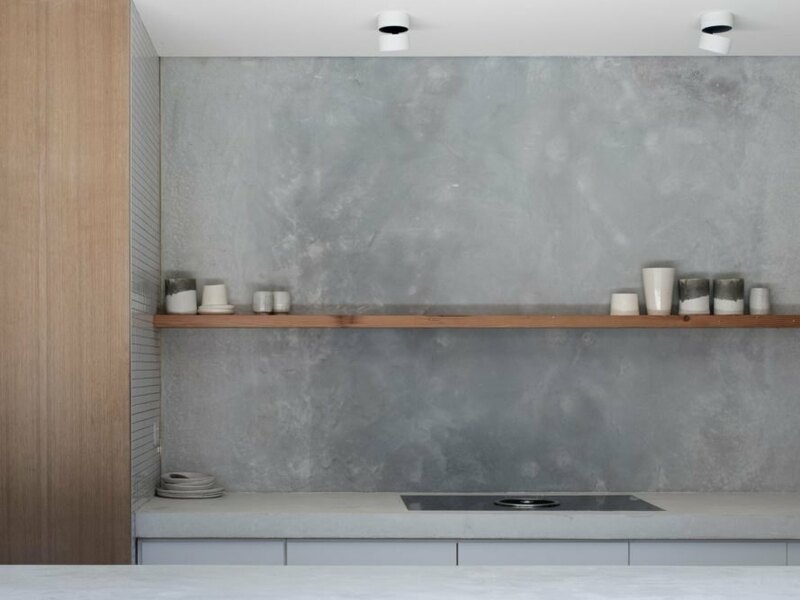 Where many architects would have taken a complicated route to create more out of less, the Whispering Smith team focused on creating a design that would use simple, sustainable materials to create a beautiful space with understated elegance. The home is clad in concrete made out of 65 percent slag, a byproduct of steel manufacturing. Along with the concrete walls, the home was built with reclaimed bricks, which were also incorporated into the surrounding landscape. Concealed from view, a water collection tank is underground and solar panels are installed on the roof. The home’s volume from a distance cuts a stoic figure, with light gray, gabled parapets reminiscent of a traditional barn but covered in concrete. Breaking up the concrete facade is the large, charred timber entryway topped with a polycarbonate screen. To maximize the compact floor plan, the interior rooms flow seamlessly from one space to another. The main living area is open and airy, with a built-in sofa and white-tiled bench. From this room, large doors slide open to an outdoor courtyard with plenty of space for dining, entertaining and relaxing. 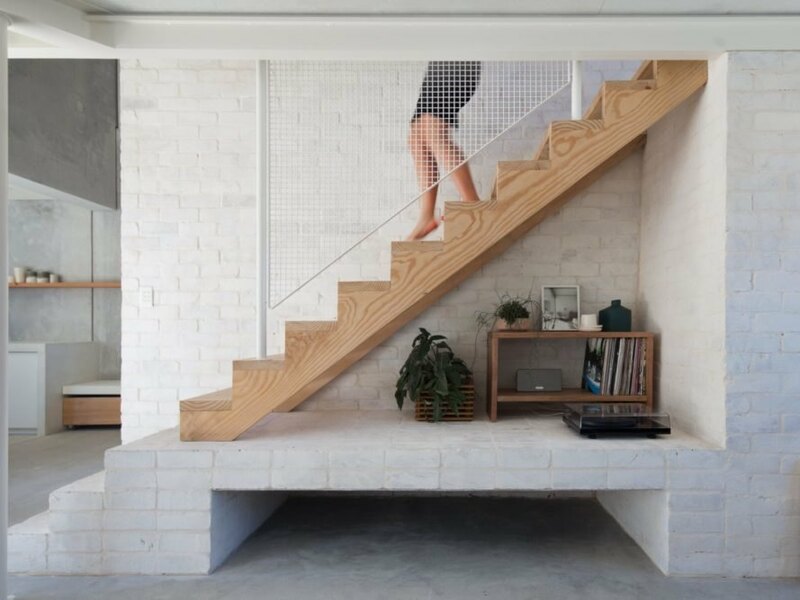 A wooden staircase leads up to the second floor, which houses the bedroom and en suite bathroom, the only room in the home with a door. 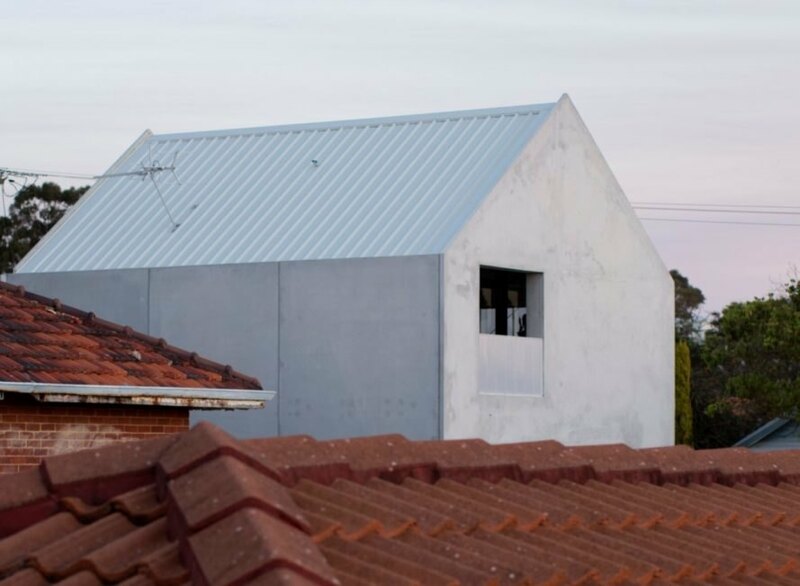 Whispering Smith designed House A to be sustainable and affordable. 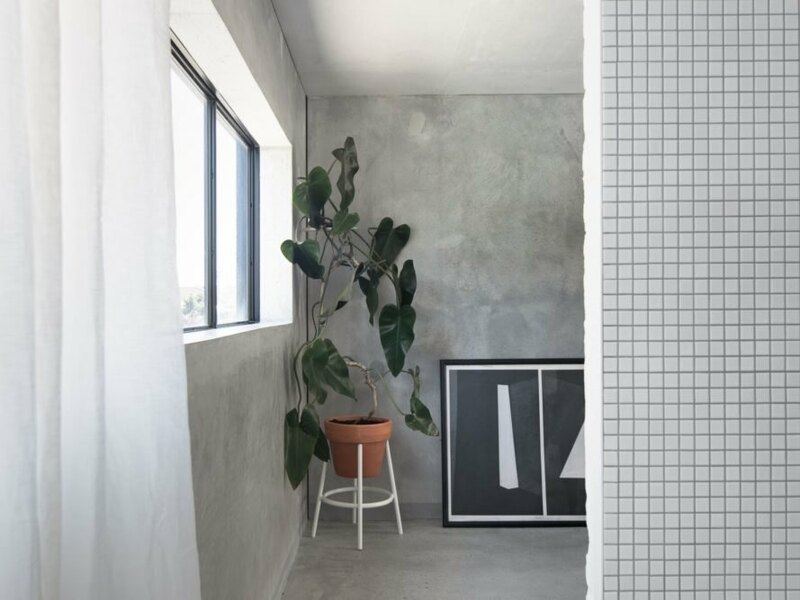 The beautiful, concrete home combines the best of brutalist architecture with sustainable materials. 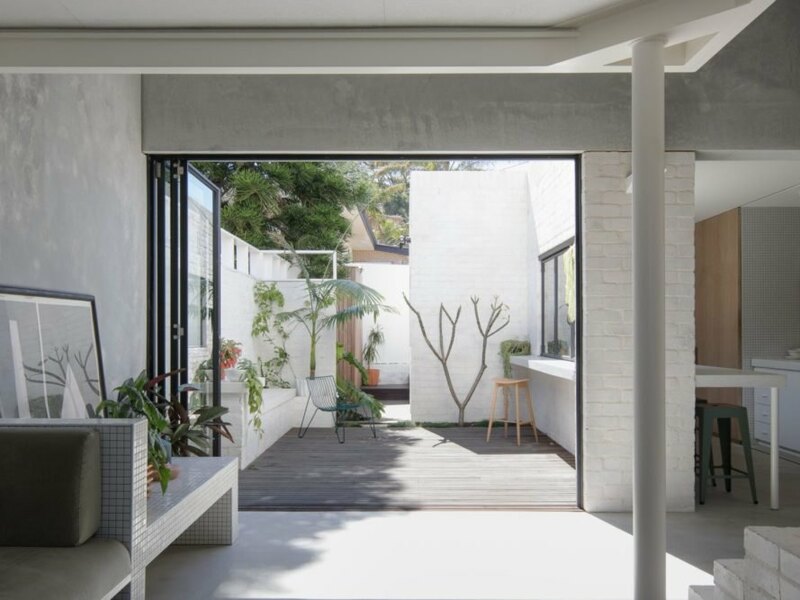 Large doors open up the interior to an open-air courtyard. The interior design is minimalist. A set of stairs lead up to the second floor, which houses the bedroom and bathroom. The home is illuminated with natural light. 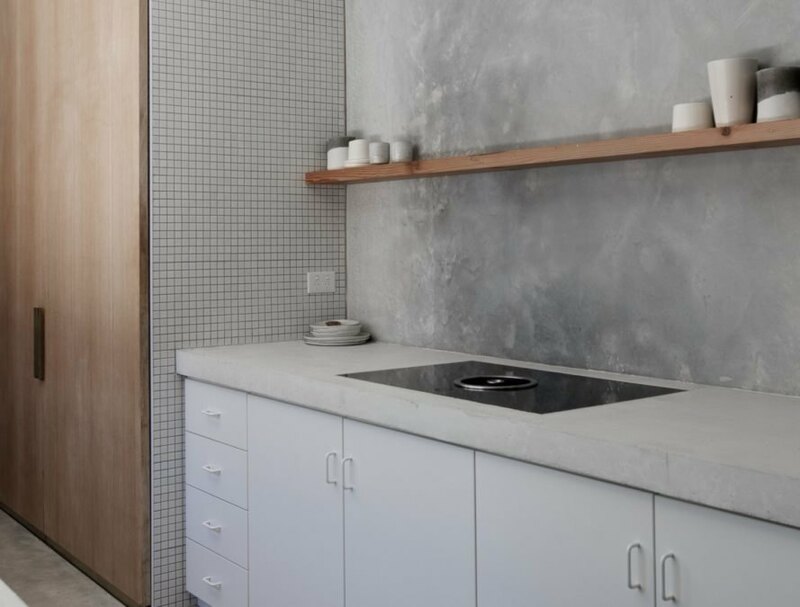 The kitchen is clutter-free, with a white countertop and simple wooden shelf. 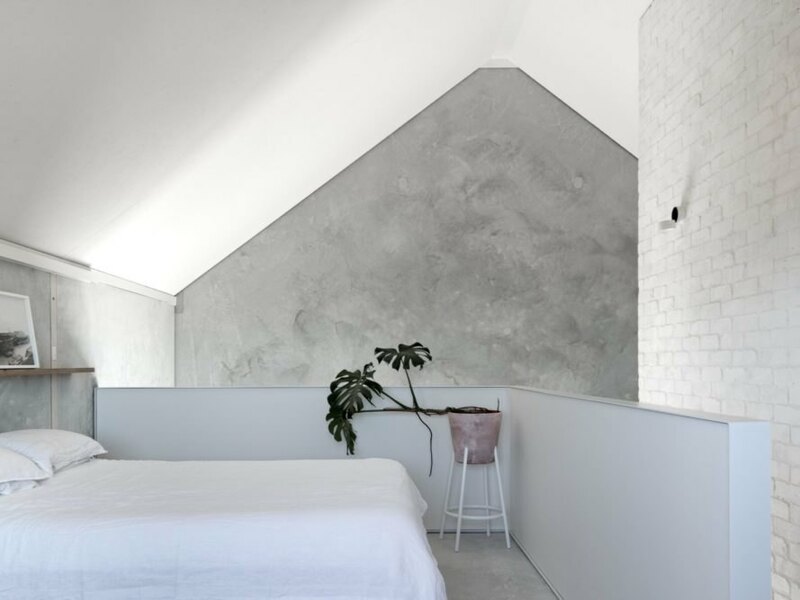 The concrete walls create an industrial feel throughout the home. 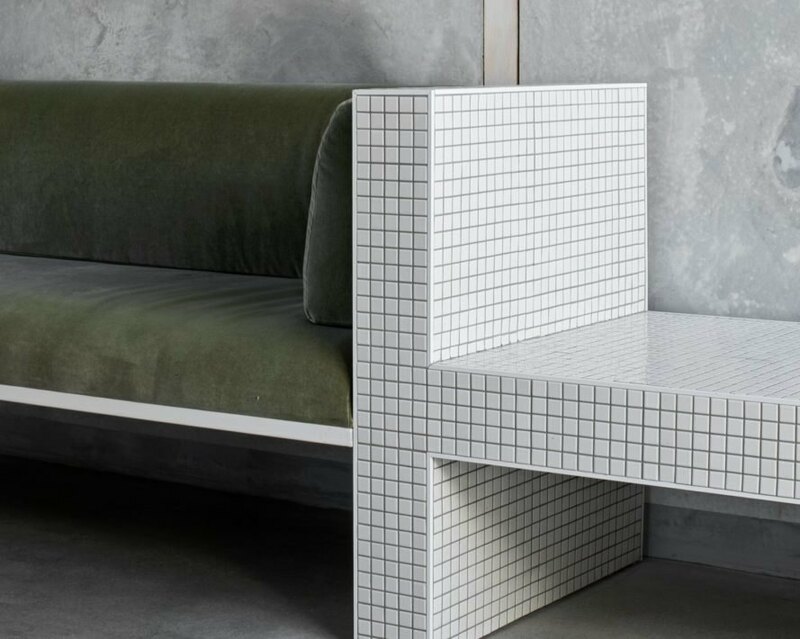 A built-in sofa sits against a tiled bench in the living room. The bedroom is located on the second floor. The bathroom is the only room in the house with a door. The bedroom and en suite bathroom have a neutral color palette to enhance the minimalist design. The A-frame design is reminiscent of traditional barns. 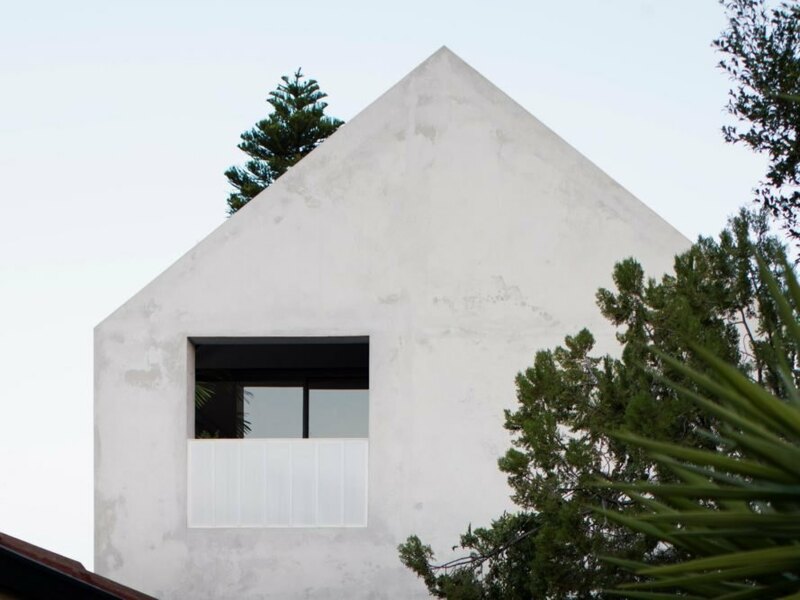 The concrete home boasts a simple figure.